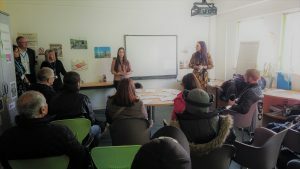 We had a great turn out to our ‘Meet the Employer’ event on March 12th hosted by The Sovini Group here at Sefton@Work. They provided a wide range of information on their upcoming apprenticeship vacancies across the region, gave an insight on what it’s like to be an apprentice with the group including potential progression routes in the future. In addition to this, they provided guidance on the application and selection process!